itch.io Community » Game Development » Release Announcements · Replied to ikky in Chicken Rune - An action-arcade noshooter, between Isaac and Zelda. itch.io Community » Game Development » Release Announcements · Created a new topic Chicken Rune - An action-arcade noshooter, between Isaac and Zelda. 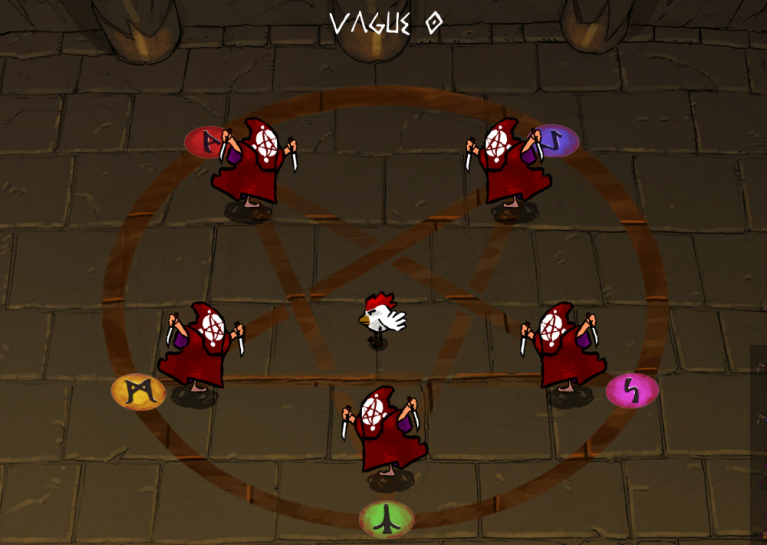 We wanted to show our game currently in development after the Global Game Jam 2016, Chicken Rune ! 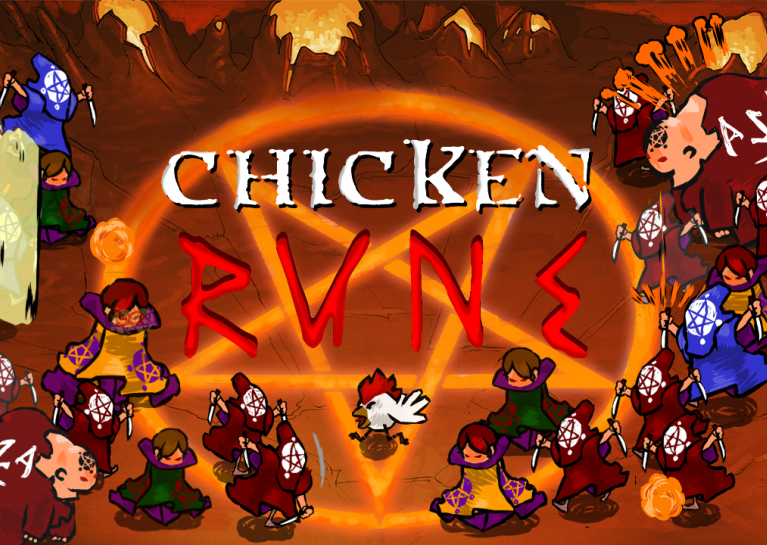 With a gameplay between Binding of Isaac and Zelda 1, Chicken Rune is a action-arcade noshooter. 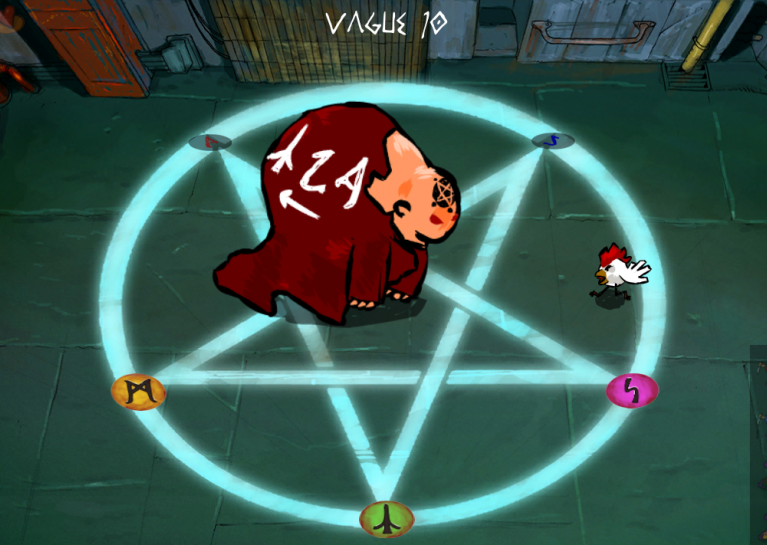 You're a powerless chicken that's about to be sacrified to the Evil Lord. But don't chicken out ! 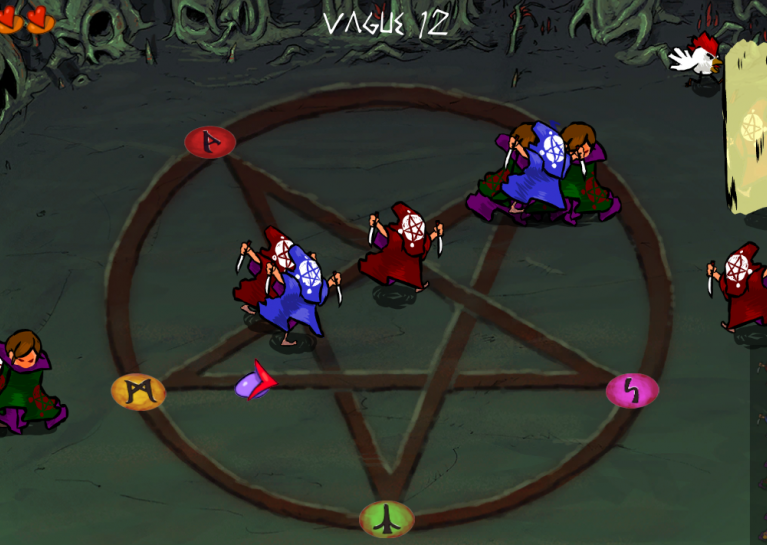 Just move, avoid and step on runes to launch dreadful attacks !